Chairman Spratt, Ranking Member Ryan, and Members of the Committee, I appreciate the opportunity to appear before you today to discuss the tax gap. It is worth noting, that if we were to capture the estimated annual tax gap of $345 billion, it would completely offset the projected fiscal year (FY) 2007 budget deficit of $172 billion and provide a surplus of $173 billion. Considering it in those terms, the tax gap poses a significant threat to the integrity of our voluntary tax system. Therefore, one of my top priorities for TIGTA is to identify opportunities for improvements to the IRS’ administration of our tax system. Similar to nearly all other Federal agencies, the IRS has limited resources to apply to the objectives it seeks to achieve. Nevertheless, the IRS must face the challenge of trying to increase voluntary compliance and reduce the tax gap. When I testified on the tax gap last year, I reported that some of the most challenging barriers to closing the tax gap are tax law complexity, incomplete information on the tax gap and its components, and reduced IRS enforcement resources. These same barriers exist today. However, while tax law simplification may help close the tax gap, a portion of the tax gap may also be closed through more effective tax administration and enforcement, as well as a commitment of additional resources for those efforts. My remarks will briefly discuss the size and source of the tax gap and then present some of TIGTA’s significant findings and recommendations to improve tax administration and help reduce the tax gap. In 2006, the IRS updated its estimate of the tax gap, which had been based on data for tax year (TY) 1988. The new estimate was based on data obtained from the National Research Program (NRP) for TY 2001 individual income tax returns. Data from the NRP were used to update the 2001 tax gap figures. The IRS’ most recent gross tax gap estimate is $345 billion with a corresponding voluntary compliance rate (VCR) of 83.7 percent. In any discussion about whether a specific VCR goal can be met, the logical starting point would be an assessment of the reliability of the measurement data. In April 2006, my staff reported results of a review to determine whether the IRS’ compliance efforts and strategies will enable it achieve a greater VCR by 2010. In all three compliance areas across the major tax gap segments---nonfiling, underreporting and non-payment---TIGTA has concerns about whether the tax gap projections are complete and accurate. While TIGTA has concerns about the overall reliability of the tax gap projections, the review of the tax gap estimates was not meant to be critical of the efforts the IRS took in re-establishing compliance measurement. On the contrary, TIGTA commended the IRS for restoring these critical measurements and for designing them to be much less burdensome to taxpayers than previous efforts. The IRS’ updated estimate is based on the best available information. When considering the updated tax gap estimate, TIGTA found it instructive to analyze what additional amounts the IRS would have had to collect to increase voluntary compliance at different estimated intervals for TY 2001. Figure 1 shows the range for TY 2001 based upon the total tax liability for TY 2001, as estimated in February 2006. The IRS has proposed in the FY 2007 budget that the VCR will be raised from 83.7 percent to 85 percent by 2009. Accordingly, if the total tax liability remained constant, the IRS would have to collect, on a voluntary and timely basis, $28 billion more in TY 2009, thus reducing the gross tax gap to $317 billion. To reach 90 percent voluntary compliance by TY 2010, the amount voluntarily and timely collected for TY 2010 would be an additional $134 billion, thus reducing the gross tax gap to $211 billion if the total tax liability remained constant. In summary, TIGTA concluded in its review of the updated tax gap estimate that the IRS still does not have sufficient information to completely and accurately assess the overall tax gap and the VCR. Although having new information about TY 2001 individual taxpayers is better when compared to the much older TY 1988 information from the last TCMP survey, some important individual compliance information remains unknown. Additionally, although individuals comprise the largest segment of taxpayers and were justifiably studied first, no new information about employment, small corporate, large corporate, and other compliance segments is available. With no firm plans for further studies or updates in many areas of the tax gap, the current tax gap estimate is an unfinished picture of the overall tax gap and compliance. Institutional impediments in this context of tax administration are the established policies, practices, technologies, businesses processes or requirements that add unintended costs or are no longer optimal given changes to strategies, goals, and technologies. The costs of these impediments include lost opportunities and the delayed development of innovative solutions. Impediments can also be perceived as opportunities. The removal of an impediment creates opportunities to achieve increased efficiency and effectiveness in tax administration. TIGTA’s perspective is that the current institutional impediments the IRS faces can give way to beneficial opportunities. The IRS’ budget submission to the Department of the Treasury for FY 2007 requested funding to support ongoing NRP reporting compliance studies. The IRS Oversight Board supports ongoing dedicated funding for compliance research. Unfortunately, funding for those resources in previous fiscal years did not materialize. Without a resource commitment for continual updating of the studies, the information will continue to be stale and less useful in measuring voluntary compliance. The IRS’ National Research Program (NRP) is designed to measure taxpayers’ voluntary compliance, better approximate the tax gap, and develop updated formulas to select noncompliant returns for examination. The first phase of this program addressed reporting compliance for individual taxpayers, and data from this phase were used to produce the updated estimates of this portion of the tax gap. These initial findings should enable the IRS to develop and implement strategies to address areas of noncompliance among individual taxpayers. The second phase of the NRP, which has begun, focuses on Subchapter S corporations (Forms 1120S). TIGTA recently reviewed the on-going NRP study of Subchapter S corporations and reported that the study was effectively planned. The NRP study is on target, with just over 17 percent of the examinations closed as of November 3, 2006. Revenue agents conducting the examinations received appropriate and timely training. A multi‑layered quality review process is in place, and feedback is provided when appropriate to resolve any problems identified. The study should provide valuable data when completed. While the IRS is actively involved in managing and monitoring the NRP study, TIGTA noted some areas in which there can be further improvement. Some NRP study results may not be complete, accurate, or provide information sufficient to update existing return selection formulas. The NRP study instructions contained criteria for line items on tax returns that are mandatory to select for examination. Eleven of 61 tax returns that TIGTA reviewed contained these line items, but the items were not identified for examination. The NRP study process includes capturing demographic information about each business examined. This information was available in 9 of the 62 cases reviewed (the data were not always available because TIGTA reviewed in-process cases). In two of the nine cases, some of this information was inaccurate. The Examination function relies in part on selection formulas to identify tax returns that have greater potential for tax adjustment. An independent review of this NRP study’s sampling methodology and sample size expressed concern that the sample size may not be large enough to update the current selection formulas, and recommended that other techniques be explored to analyze the results. The three concerns TIGTA noted could reduce the reliability of the NRP study results. However, the IRS is taking or has planned actions that should reduce these risks. Final decisions on how to address these concerns cannot be made until more of the examinations are completed. As a result, TIGTA did not recommend any additional actions the IRS should take. However, TIGTA will monitor the adequacy of the IRS’ decisions and actions to address the concerns in future reviews. The individual and Subchapter S corporation NRP initiatives allow the IRS to update return-selection models for more effective return selection for its compliance efforts. In 2005, TIGTA reported that the return-selection formulas, developed in the 1980s, only accounted for the selection of 22 percent of the corporate returns selected for examination in FY 2004. Updated selection models should contribute to more effective use of the IRS’ compliance resources. Less Effective Examination Techniques Used for High-Income Taxpayers. Regulations for Granting Extensions of Time to File Delay the Receipt of Taxes Due. Unclear Offer in Compromise Program Requirements. In July 2006, TIGTA reported the results of its review of the IRS’ increased examination coverage rate of high-income taxpayers. The increased coverage has been due largely to an increase in correspondence examinations, which limit the tax issues the IRS can address in comparison with face‑to‑face examinations. In addition, the compliance effect may be limited because over one-half of all high-income taxpayer examination assessments are not collected timely. FY 2002 to 1.53 percent in FY 2005. Included in this statistic is an increase in the examination coverage rate of high-income tax returns, Forms 1040 with a Schedule C. This examination coverage rate increased from 1.45 percent in FY 2002 to 3.52 percent in FY 2005. However, the increase in examination coverage is due largely to an increase in correspondence, rather than face-to-face, examinations. While face-to-face examinations increased by 25 percent from FY 2002 through FY 2005, correspondence examinations increased by 170 percent over the same period. As a result, the percentage of all high-income taxpayer examinations completed through the Correspondence Examination Program grew from 49 percent in FY 2002 to 67 percent in FY 2005. The increase in correspondence examinations for high-income taxpayers who filed a Schedule C was even larger. Examinations closed by correspondence comprised about 30 percent of all high-income taxpayer Schedule C examinations from FYs 2002 through 2004. In FY 2005, approximately 54 percent of all high-income taxpayer Schedule C examinations were conducted by correspondence. In FY 2004, the IRS assessed more than $2.1 billion in additional taxes on high-income taxpayers through its Examination program. This figure includes assessments of $1.4 billion (66 percent) on taxpayers who did not respond to the IRS during correspondence examinations. Based on a statistical sample of cases, TIGTA estimates that approximately $1.2 billion (86 percent)  of the $1.4 billion has been either abated or not collected after an average of 608 days — nearly two years after the assessment was made. Our conclusion is that the Examination and Collection programs for high-income taxpayers may not be positively affecting compliance, given the substantial assessments that have been abated or not collected. TIGTA has also identified improvements that should be made to improve compliance in business tax filing. The GAO has reported that more than 60 percent of U.S.-controlled corporations and more than 70 percent of foreign-controlled corporations did not report tax liabilities from 1996 through 2000. Although individual wage earners who receive a Wage and Tax Statement (Form W-2) have their wages verified through a matching program, a similar comprehensive matching program for business documents received by the IRS does not exist. TIGTA has recommended that the IRS evaluate all types of business documents it receives to determine whether this information can be used to improve business compliance. In its response to our recommendations, the IRS wrote that it could not implement this recommendation at that time. However, the IRS also shared its belief that ongoing efforts would provide the results that our recommendation hoped to achieve and asked for the opportunity to continue its efforts. An IRS study, based on TIGTA recommendations, found that in FY 2000, business information documents reported $697 billion of potential taxable income. Furthermore, business information documents identified 1.2 million unresolved IRS business nonfiler tax modules. An IRS tax module contains records of tax liability and accounting information pertaining to the tax for one tax period. TIGTA has also reported on issues related to the increasing global economy. Investments made abroad by U.S. residents have grown in recent years, nearly tripling from $2.6 trillion in 1999 to $7.2 trillion in 2003. To address the tax compliance challenges presented by foreign investments, TIGTA recommended that the IRS make better use of the foreign-source income information documents received from tax treaty countries. TIGTA also recommended that, prior to issuing refunds to foreign partners, the IRS implement an automated crosscheck of withholding claims against available credits for partnerships with foreign partners. FY 2008. Due to the more complex nature of corporate taxes, similar figures were not available for corporations, although TIGTA estimated that by TY 2008, approximately $768 million in additional corporate taxes would be timely paid if TIGTA’s recommendations were adopted. The IRS agreed to study TIGTA’s recommendations. According to the IRS’ February 2006 tax gap estimate, individual and estate tax non-filers accounted for about 8 percent of the total tax gap for TY 2001. Corporate income, estate and excise tax non-filing estimates were not available. The IRS study, together with previous IRS studies, indicates the tax gap for individual non-filers almost tripled from $9.8 billion in TY 1985 to about $27 billion in TY 2001. Consolidation of the Automated Substitute for Return Program into one campus. Computer programming changes to enhance automated processing of returns created by the IRS for non-filing businesses, as authorized under Section 6020(b) of the Internal Revenue Code. Refinement of the processes for selection and modeling of non-filer cases each year through risk-based compliance approaches. The intention is to identify and select the most productive non-filer work and to apply appropriate compliance treatments to high-priority cases. Increased outreach efforts by the SB/SE Division through its Taxpayer Education and Communication function. An increase in the number of cases recommended for prosecution by the Criminal Investigation Division from 269 in FY 2001 to 317 in FY 2004 (an increase of 17.8 percent). However, these were not coordinated activities that were planned and controlled within the framework of a comprehensive strategy. Since FY 2001, each business division has independently directed its own non-filer activities. The IRS did not have a comprehensive, national non-filer strategy or an executive charged with overseeing each business division’s non-filer efforts. TIGTA concluded that the IRS needed better coordination among its business divisions to ensure resources are being effectively used to bring non-filers into the tax system and ensure future compliance. The IRS also needed an organization-wide tracking system to monitor the progress of each business division’s actions. · The number of returns secured from non-filers. Historically, the IRS has been concerned about employees not reporting tips earned in industries in which tipping is customary. An IRS study showed that the amount of tip income reported in CY 1993 was less than one-half of the tip income, leaving over $9 billion unreported. To address this underreporting, the IRS developed the Tip Rate Determination and Education Program (the Tip Program), which is a voluntary compliance program originally designed for the food and beverage industry. It was modeled after the tip compliance agreement used by casinos in the former IRS Nevada District. The Tip Program offers employers multiple voluntary agreement options designed to provide nonburdensome methods for employers and employees to comply with tip reporting laws. The Tip Program was extended to the cosmetology industry in 1997 and the barber industry in 2000. Since the Tip Program was introduced, voluntary compliance has increased significantly. In TY 1994, tip wages reported were $8.52 billion. For TY 2004, the amount exceeded $19 billion. To date, over 16,000 employers, representing over 47,000 individual establishments, have entered into tip agreements. TIGTA reviewed the Tip Program and reported that the IRS has not consistently monitored the establishments in the food and beverage and cosmetology industries that had entered into tip agreements since FY 2000 to determine if tip agreements secured actually increased tip income for these establishments. Additionally, due to the voluntary nature of participation and limited IRS resources, disparity with the number of tip agreements secured between various locations across the country is an issue. In FY 2006, the IRS did not plan to actively solicit any new tip agreements beyond the gaming industry. The majority of FY 2006 Tip Program staffing was to be expended on soliciting and monitoring tip agreements with the gaming industry and on audits of casino employees. 20 percent of their tip income as charged tips. It should provide benefits similar to those of previous tip reporting agreements for employers and employees who report tips at or above a minimum level of gross receipts. The IRS plans to test the ATIP with the food and beverage industry for three years. The ATIP Revenue Procedure was designed as a three-year pilot to provide time to assess its impact on tip reporting compliance. It will take up to this length of time to assess whether the ATIP Revenue Procedure has achieved its goal and to consider whether it is appropriate to expand and modify it for other industries. $342 million in additional tax assessments over five years if it resumes soliciting new tip agreements with the cosmetology industry and expands the agreements to the taxi/limo industry. The IRS agreed with TIGTA’s recommendations, including consideration of expanding the Tip Program after evaluating the results of the ATIP with the food and beverage industry. If the ATIP proves successful, the IRS should develop similar procedures for specific industries, including the cosmetology and tax/limo industries. The IRS has the authority to settle or compromise Federal tax liabilities by accepting less than full payment under certain circumstances. This is accomplished through an Offer in Compromise (OIC). An OIC is an agreement between a taxpayer and the Federal Government that settles a tax liability for payment of less than the full amount owed. Improving the methods for identifying candidates for the OIC could result in substantial benefits since taxpayers generally do remain in compliance when offers are accepted. However, between FYs 1996 and 2005, only approximately 24 percent of the 1.1 million offers received by the IRS were accepted. Over this same 10-year period, 50 percent either did not meet preconditions of filing an offer or were returned to the taxpayer (e.g., for missing information) during the offer evaluation. A significant number of offer applications do not meet the preconditions of filing an offer. Those offers not meeting the preconditions are returned to the taxpayers (as not-processable returned offers) without further consideration. However, the IRS must evaluate the processability of all offers received except those based upon Doubt As to Liability. The IRS returns a substantial number of the offers determined to meet the preconditions to taxpayers during the offer evaluation process, without having fully evaluated the offers. This occurs, for example, when taxpayers no longer meet the preconditions of offer filing or did not provide information requested during the course of the offer evaluation. The IRS closes these cases as processable returns. The high rates of returned offers occurred because requirements of the OIC program were not always clear to taxpayers. In addition, taxpayers had little to lose; if their offers were not accepted, collection of their taxes was, in effect, delayed. The OIC application fee implemented by the IRS during FY 2004 was intended to reduce the number of frivolous offers; however, this fee is not applicable to offers that are considered to be not-processable. Also, in light of the potential benefit of a fresh start, the fee may not be significant to some taxpayers. The IRS effectively monitors accepted offers to ensure compliance with the terms of the offers. TIGTA reviewed a sample of 84 taxpayers whose offers were accepted during FY 1999. The IRS had identified noncompliance in 33 (39 percent) instances and took appropriate action to resolve the noncompliance. At the time of TIGTA’s review, 96 percent of the 84 taxpayers were in compliance with the OIC payment terms and the five-year compliance requirements for filing their returns and paying the taxes due. The IRS conducted a more comprehensive analysis of individual taxpayer compliance with filing and paying requirements for offers accepted during CYs 1995 through 2001. According to that analysis, approximately 80 percent of the individual taxpayers remained in compliance. This includes taxpayers who received the first collection notice but did not receive any subsequent notices. Social Security and Medicare taxes are paid to the Department of the Treasury from two primary sources (1) payroll taxes consisting of amounts withheld from employees and matching amounts paid by employers and (2) self-employment taxes. Employers are generally required by law to withhold from their employees’ incomes the employees’ shares of Social Security and Medicare taxes. Included in the employer’s calculation of these taxes are wages earned by the employees and tips received by the employees and reported to the employer. One-half of the calculated tax amount is withheld from the employee’s wages and the employer pays a matching amount. Self-employed taxpayers must pay the entire amount of Social Security and Medicare taxes themselves in the form of self-employment taxes. Social Security and Medicare Tax on Unreported Tip Income (Form 4137) was originally designed to calculate only the Social Security and Medicare taxes owed on tips not reported to an employer, including any allocated tips shown on the Wage and Tax Statement (Form W-2). Forms 4137 are filed as attachments to U.S. Individual Income Tax Returns (Form 1040). Form 4137 has the effect of assessing only the worker’s share of these taxes on the tip income. Although not originally developed for this purpose, Form 4137 is also used by certain taxpayers to report wages other than tips. These taxpayers include employees whose employers are granted Section 530 relief and workers in dispute with their employers as to their employment status (employee or self-employed). Because Form 4137 can be used to report wages, it is possible for some taxpayers to use the form inappropriately. This occurs when taxpayers who are truly independent contractors or self-employed individuals use the form to avoid paying their full share of Social Security and Medicare taxes. By using the form inappropriately, taxpayers reduce their share of these taxes by almost one-half. Self-Employment Tax (Schedule SE), not Form 4137, should be used by these taxpayers to pay their legitimate share of Social Security and Medicare taxes. Even when taxpayers rightfully report wages on Form 4137 because their employers have misclassified them as self-employed, Social Security and Medicare taxes are underpaid, in this case by the employers who failed to pay their share of the taxes. · The IRS is not assessing the employer’s share of Social Security and Medicare taxes on unreported tip income. TIGTA estimated $20 million in Social Security and Medicare taxes on tips were assessed, and the IRS could have assessed approximately $20 million more in Social Security and Medicare taxes on tips reported on Form 4137. · The lack of a specific form or adequate written instructions increases the burden on taxpayers trying to report Social Security and Medicare taxes on wages. TIGTA estimated this burden increase affected about 377,850 taxpayers filing Forms 4137 during CY 2005. · Many taxpayers appear to be reporting self-employment income as wages on Form 4137 to pay less Social Security and Medicare taxes. TIGTA estimated the IRS could have assessed approximately $88 million more in Social Security and Medicare taxes on these wages each year. TIGTA recommend that the IRS revise Form 4137 to capture the data necessary to properly assess the employer’s share of Social Security and Medicare taxes on unreported tip income, revise instructions regarding use of the form, and revise IRS training and procedures to reflect the changes. Using the revised Form 4137, the IRS should develop a compliance program to assess the employer’s share of taxes on the unreported tip income. In addition, TIGTA recommended that the IRS create a new form to properly assess the worker’s share of Social Security and Medicare taxes on wage income, provide instructions regarding use of the form, create IRS training and procedures regarding the form, and develop a compliance program to ensure the form is used properly and the appropriate amounts of Social Security and Medicare taxes are assessed. As the tax collectors for the Social Security program, the IRS must help taxpayers meet their tax responsibilities by assessing and collecting the proper amount of employment taxes in this area. By making TIGTA’s recommended changes, the IRS could assess an additional estimated $108 million in Social Security and Medicare taxes each year. Increased resources would help the IRS with its efforts to close the tax gap. However, in addition to increased resources, the IRS must also focus its efforts on ways to increase the economy, efficiency, and effectiveness of its operations, which would allow the IRS to devote more resources to its efforts to close the tax gap. In September 1979, the GAO testified before Congress that “The staggering amount of income, at least $135 billion, on which taxes are not paid is shocking.” The GAO’s testimony focused on the actions the government should take. The recommended actions included ensuring that the level of the IRS’ audit activity did not decline. Unfortunately, while there have been periods of increases in compliance staffing, the IRS has also experienced declines over the years. The combined Collection and Examination functions enforcement personnel declined from approximately 22,200 at the beginning of FY 1996 to 14,500 at the end of FY 2005, a 35 percent decrease. Even though the IRS has started to reverse many of the downward trends in compliance activities, the Collection and Examination functions’ enforcement staffing level is not much higher than the 10‑year low experienced in FY 2003. The President’s FY 2008 proposed budget for enforcement is approximately 5.7 percent more than the FY 2007 Continuing Resolution (CR) and requests an additional $246 million to expand enforcement activities. Without this additional funding, the IRS will not be positioned to increase enforcement activity above the level provided for in the FY 2007 CR. Additionally, the FY 2007 CR amount for enforcement is almost $48 million less than the FY 2006 funding. One effect of the lack of resources in the Collection function is that the Queue,  has increased significantly since FY 1996. In FY 1996, there were over 317,000 balance-due accounts worth $2.96 billion in the Queue. In FY 2004, these figures had increased to over 623,000 balance-due accounts worth $21 billion. Additionally, the number of unfiled tax return accounts in the Queue increased from over 326,000 in FY 1996 to more than 838,000 in FY 2004. The number of balance-due accounts “shelved,” or removed from the Queue altogether because of lower priority, has also increased significantly. In FY 1996, less than 8,000 of these balance due accounts were shelved, but in FY 2004, more than 1 million of these accounts were removed from inventory. From FY 2001 to FY 2004, approximately 5.4 million accounts with balance-due amounts totaling more than $22.9 billion were removed from Collection function inventory and shelved. Additionally, in FY 2004 alone, more than 2 million accounts with unfiled returns were shelved. If increased funds for enforcement are provided to the IRS in upcoming budgets, the resource issues in the Enforcement functions will be addressed to some degree. In addition, use of Private Collection Agencies is allowing the IRS to collect more outstanding taxes. The IRS needs to be vigilant in overseeing these contractors to ensure that abuses do not occur. However, past experiences with lockbox thefts and insufficient contractor oversight provide valuable lessons toward reducing the likelihood of similar issues occurring when contracting out collection of tax debt. There are many areas in which increased enforcement could address noncompliance. For example, a TIGTA audit found that a significant number of single shareholder owners of Subchapter S corporations avoided paying themselves salaries to avoid paying employment taxes. We estimated this would cost the Treasury approximately $60 billion in employment taxes over five years. Under current law, the IRS must perform an examination of these taxpayers to determine reasonable compensation. To accomplish this on any scale would require significant compliance resources. Additional resources might also help the IRS address the growth in fraudulent returns filed by incarcerated individuals. On June 29, 2005, I testified before the House Committee on Ways and Means’ Subcommittee on Oversight about this growing problem. Although prisoner tax returns account for only 0.43 percent of all refund returns, they account for more than 15 percent of the fraudulent returns identified by the IRS. Refund fraud committed by prisoners is growing at an alarming rate. The number of fraudulent returns filed by prisoners and identified by the IRS’ Criminal Investigation function grew from 4,300 in processing year 2002 to more than 18,000 in processing year 2004 (a 318 percent increase). During that same period, all fraudulent returns identified grew by just 45 percent. The IRS’ Fraud Detection Centers screen tax returns based on criteria that identify potentially fraudulent filings. The number of returns screened is based on these criteria and the available resources. During processing year 2004, Fraud Detection Centers screened about 36,000 of the approximately 455,000 refund returns identified as filed by prisoners. Resources were not available to screen the remaining 419,000 tax returns. Those returns claimed approximately $640 million in refunds and approximately $318 million of Earned Income Tax Credit (EITC). For those unscreened returns, over 18,000 prisoners incarcerated during all of CY 2003 filed returns with a filing status as “Single” or “Head of Household” and claimed more than $19 million in EITC. Since prisoners were incarcerated for the entire year, they would have had neither eligible earned income to qualify for the EITC nor a qualified child who lived with them for more than six months. The IRS also needs to focus efforts on improving the economy, efficiency and effectiveness of its operations. For example, in 2002, the IRS decided to reduce the number of its human resource positions and to consolidate some of its support operations. The IRS determined that 741 Full-Time Equivalents (FTE) could be eliminated from its headquarters and field offices. This was just one part of a series of initiatives the IRS intended to use to realign approximately 12,000 positions to front-line tax professional positions over the following two years. Through the use of early retirements, buyouts, normal attrition, placements elsewhere, and involuntary separations, the IRS was able to meet its desired reduction of human resource positions. However, the IRS does not track vacated and reassigned individual positions. While the other IRS initiatives involved in the effort to reassign 12,000 positions to the front-line were not reviewed, TIGTA determined that from FY 2003 to FY 2005, the number of employees in mission critical positions increased by only 1,216, far short of the goal the IRS documented in its request to the OPM. TIGTA did not determine why the IRS did not achieve its goal. In a plan submitted to the OPM, the IRS cited specific benefits that would be realized if it received authorization to offer early retirements and buyouts. The plan indicated that the IRS would save an average of $2,746 per employee. However, neither TIGTA nor the IRS could determine if savings were realized. The IRS’ Human Capital Office did not prepare any analysis to determine the total costs of, or any savings associated with, offering the early retirements and buyouts. After the IRS was granted the early retirement and buyout authorities, it did not formally assign responsibility for overseeing the reorganization to any single office or individual. As a result, no one was responsible for monitoring the reorganization to ensure that the benefits outlined in the plan to the OPM, such as the realignment of staff to mission critical positions and cost savings, were actually achieved. TIGTA recommended that the IRS monitor and report on the progress of any IRS reorganization initiative, including how effectively the IRS achieves proposed reductions or staffing realignments. TIGTA also recommended that the IRS identify and track all costs incurred and any savings realized and that the IRS follow all early retirement and buyout rules and regulations. The IRS agreed with TIGTA’s recommendations. The FY 2008 IRS proposed budget shows a net increase of $409.5 million to enhance the IRS’ infrastructure and invest in modernization. This increased investment in the IRS infrastructure is necessary to ensure the capability to administer the tax laws, collect the revenue and to better position the IRS to reduce the tax gap. According to the IRS, the $409.5 million will allow the IRS to increase enforcement revenue by $699 million by 2010. The legislative proposals contained in the budget are projected to increase revenue by approximately $2.9 billion a year. At these levels, the tax gap will not be seriously reduced. Even if these initiatives indirectly increased compliance 10 fold, the tax gap would still exceed $300 billion. The budget also contains $41 million for non-NRP research. TIGTA believes that by employing enhanced research methods, the IRS will be better positioned to develop more effective and efficient solutions to non compliance, which should lead to reductions in the tax gap. Although increasing enforcement is important in addressing the tax gap, the IRS must exercise great care not to emphasize enforcement at the expense of taxpayer rights and customer service. Customer service goals must be met and even improved upon, or people will lose confidence in the IRS’ ability to meet part of its mission to provide America’s taxpayers with quality service by helping them understand and meet their tax responsibilities. The IRS faces formidable challenges in completely and accurately estimating the tax gap and also in finding effective ways to remove institutional impediments and optimize its opportunities to increase voluntary compliance. Strategies have been identified to decrease the tax gap and improvements can be realized; however, sufficient resources are needed to ensure compliance with the tax laws. Mr. Chairman and members of the committee, I appreciate the opportunity to share my views on the tax gap and the work TIGTA has done in this area. I would be happy to answer any questions you may have. $2.5 trillion, resulting in a budget deficit of $172 billion. The additional funding that is likely to be needed to finance military operations in Iraq and Afghanistan would put that deficit in the vicinity of $200 billion. This definition and the associated categories have evolved over time. IRS tax gap estimates in 1979 and 1983 included unpaid income taxes owed from illegal activities such as drug dealing and prostitution. That practice was discontinued in the 1988 estimate. Reasons given for excluding this category are: 1) the magnitude of the illegal sector is extremely difficult to estimate; and 2) the interest of the government is not to derive revenue from these activities, but to eliminate the activities altogether. Earlier tax gap figures such as those for 1965 and 1976 only included underreporting. While figures for more recent years (1992, 1995, 1998 and 2001) are more comparable, they are essentially the same estimates adjusted for the growth in the economy. Thus, comparing the figures does not show real growth in the tax gap. Lastly, comparisons among years are not done in constant dollars, so any real growth in the tax gap cannot be determined through this IRS data. 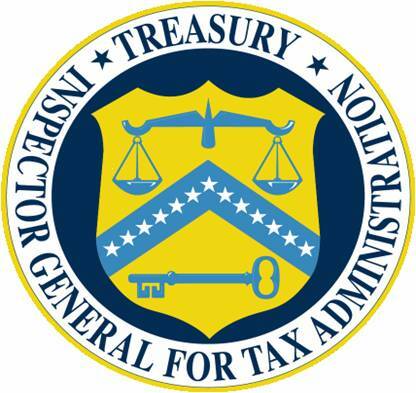 Some Concerns Remain About the Overall Confidence That Can Be Placed in Internal Revenue Service Tax Gap Projections (TIGTA Reference Number 2006-50-077, dated April 2006. This is the amount previously described in this report that was called for by Senator Baucus. See Some Concerns Remain About the Overall Confidence That Can Be Placed in Internal Revenue Service Tax Gap Projections (TIGTA Reference Number 2006-50-077, dated April 2006. Payment of the $55 billion estimated by the IRS as late or enforced payments does not affect the VCR. However, it does affect the total amount collected by the IRS. Therefore, TIGTA developed the Eventual Compliance Rate term that shows the effect of these payments when coupled with additional voluntary and timely payments that do affect the VCR. The National Research Program Study of S Corporations Has Been Effectively Implemented, but Unnecessary Information Was Requested From Taxpayers (TIGTA Reference Number 2007-30-027, dated January 30, 2007). An Evaluation of The Sample Design for The National Research Program Study of Subchapter S Corporations (Mathematica Policy Research Inc., dated May 12, 2005). Some Concerns Remain About the Overall Confidence That Can Be Placed in Internal Revenue Service Tax Gap Projections (TIGTA Reference Number 2006-50-077, dated April 2006). The estimated tax gap of $27 billion in TY 2001 was comprised of $25 billion for individual income tax non-filing and $2 billion associated with estate and gift tax. The estimate is developed from other tax gap data sources and is not derived from direct data sources. So, the growth in the dollar amounts in the estimate track the increases in other tax gap estimates. Additional Enhancements Could Improve Tax Compliance of Employees Who Receive Tips (TIGTA Reference Number 2006-30-132, dated September 15, 2006). The Offer in Compromise Program Is Beneficial but Needs to Be Used More Efficiently in the Collection of Taxes (TIGTA Reference Number 2006-30-100, dated July 2006). Offers submitted on the basis of Doubt As to Liability represent disputes over the existence or amount of the tax liability and apply to the specific tax periods that are in question. IRS Offers in Compromise Program, Analysis of Various Aspects of the OIC Program, September 2004. The number of tax years for which taxpayers were compliant after completion of the offer monitoring period varies based on the offer acceptance date. At the time of TIGTA’s review, taxpayers in the sample had been compliant from one to five tax years after the offer monitoring period. When the amount of tips reported by an employee of a large food or beverage establishment is less than 8 percent (or an approved lower rate) of the gross receipts, other than nonallocable receipts, for the given period, the employer is required to allocate tips to the employee. If the employee is reporting more than the 8 percent, there would be no allocated tip amount. For tax purposes, tips are generally considered to be wages. However, for purposes of this report, wages are defined as compensation other than tips paid to an employee. Revenue Act of 1978, Pub. L. No. 95-600, Section 530, 92 Stat. 2763, 2885-86 (current version at Internal Revenue Code Section 3401 note). This is comprised of approximately $20 million in Social Security and Medicare taxes on tips and approximately $88 million in Social Security and Medicare taxes on wages. A measure of labor hours in which 1 FTE is equal to 8 hours multiplied by the number of compensable days in a particular fiscal year. For FY 2005, 1 FTE was equal to 2,088 hours. For purposes of this report, we are using the terms FTEs, employees, and positions synonymously. An involuntary separation is any separation against the will and without the consent of the employee, other than for misconduct or delinquency. The most common cause for an involuntary separation is a reduction in force. The IRS uses the term mission critical occupations to define occupations deemed critical to front-line operations as well as those occupations that provide direct support to front-line operations. Mission critical positions are specific positions within those occupations. Staff Reductions in Support Operations Did Not Result in Significant Increases in Mission Critical Positions (TIGTA Reference Number 2006-10-175, dated September 28, 2006).